HIGHSIDER™ – QUALITATIV HOCHWERTIGE MOTORRADTEILE! 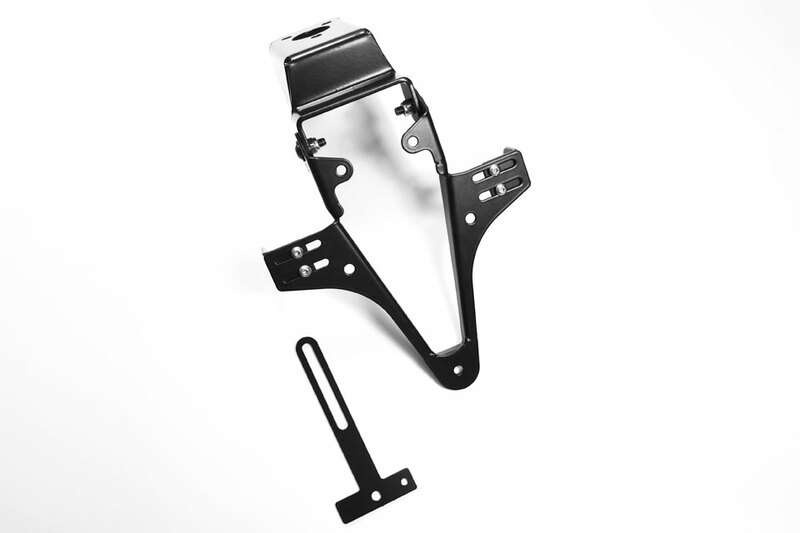 - HIGHSIDER License plate bracket YAMAHA YZF R1, 09-14 - HIGHSIDER™ - QUALITATIV HOCHWERTIGE MOTORRADTEILE! Fits Yamaha YZF R1, model years 2009-2014. Shapely licence plate bracket, powder coated in black, incl. holder for indicator and reflector. It can be used for any type of number plate. Its not necessary to change the fairing. Angle of inclination allover adjustable. Customized for your bike  our expansive HIGHSIDER equipment is perfectly fitting for your motorcycle. With a maximum of quality and functionality you can design your bike according to your wishes. Indicator holder comes with a 10,5 mm-bore hole for indicators. For mounting bracket license plate, please order bracket for license plate light: Item No. 280-990!